This is the VW Golf GTI Clubsport Edition 40 to help the carmaker celebrate the birthday for its hot hatch phenomenon, the VW Golf GTI. It’s the most powerful Golf yet made and there will be just 1,000 of them available to UK buyers to celebrate four decades since the Golf GTI became a motoring icon. 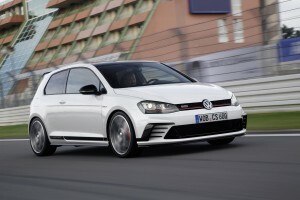 The car is available to order now and under the bonnet of the VW Golf GTI Clubsport is a 2.0litre turbocharged engine from the Golf R which produces 265bhp though if the driver has their foot to the floor in third gear, or a higher one, an ‘overboost’ function will kick in to boost engine power to 290bhp for bursts of up 10 seconds. 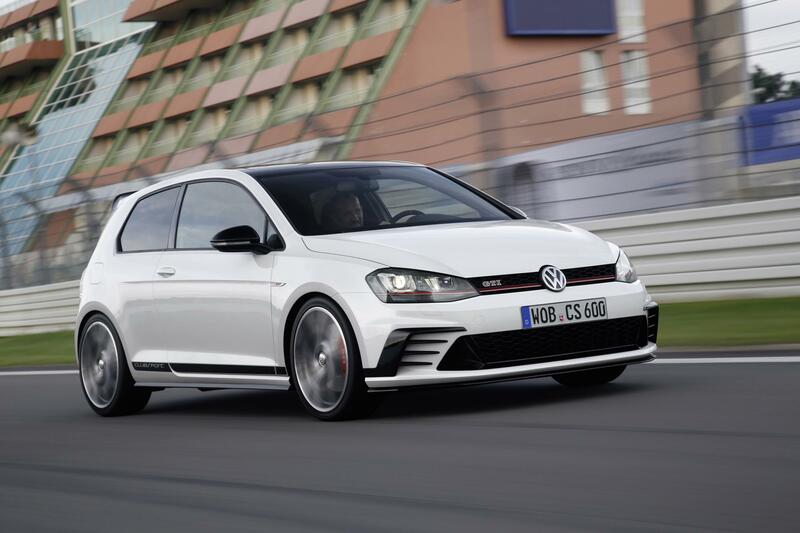 Owners of the automatic gearbox version in the VW Golf GTI Clubsport Edition 40 will also get to enjoy the firm’s impressive launch control fitted as standard; the 0 to 62 mph sprint time in all guises is 6.3 seconds with a limited top speed of 155 mph. For the performance levels, fuel economy is quite impressive at around 41 mpg and emissions of 160g/km. VW have made a few alterations to the exterior including new sills and front bumper and rear diffuser which helps boost handling – the optional dynamic chassis control will also boost the Golf GTI Clubsport’s agility and performance. There’s an enlarged lower air intake, prominent brake cooling vents and a redesigned front splitter. VW have also added exclusive 19inch alloy wheels to the special edition. Inside, the VW Golf GTI Clubsport has various details to suit the GTI heritage including a black headliner, a golf ball-shaped gear knob, Alcantara upholstery and red topstitching. Ergonomic sports bucket seats help deliver comfort and stability when the car is cornering at speed. Prices for the three door entry model VW Golf GTI Clubsport Edition 40 start at £30,875 OTR with the five door model with automatic transmission costing £32,945; deliveries will start in the summer. This entry was posted in Car Leasing, Cars, Family Car, New Cars and tagged vw golf gti by Steve Lumley. Bookmark the permalink.